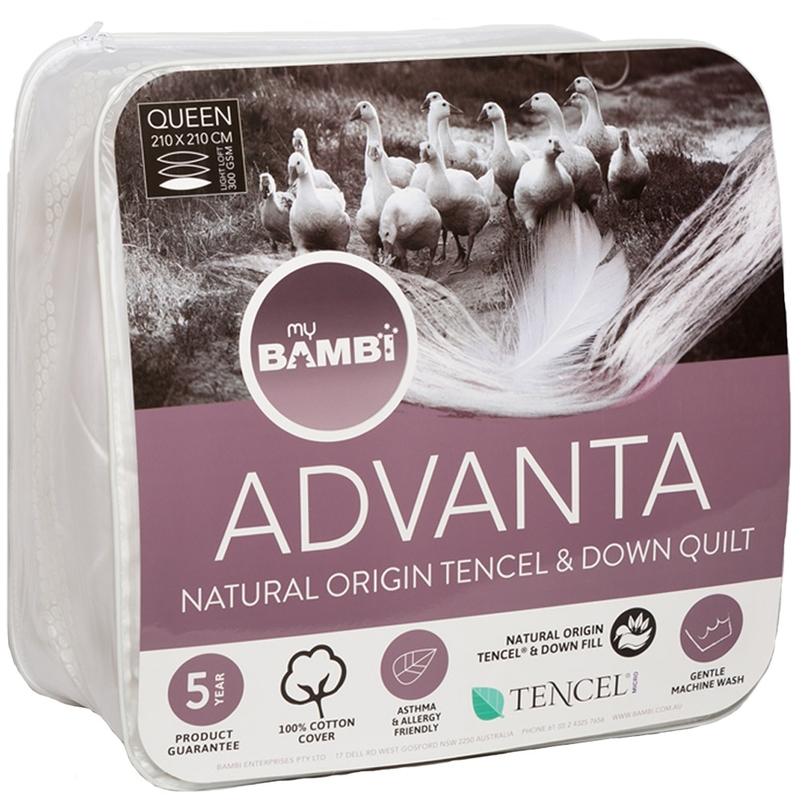 The Advanta quilt has been designed for a beautiful night’s sleep and is filled with natural origin Tencel and Down. Covered in a beautiful quilted cotton sateen cover this quilt is ideal for the whole family. With its fill of 30% Tencel % 70% Down (20% feather and 80% down) this quilt offers a plump and plush feel. The Down fill offers softness and warmth while the Tencel gives breathability to help release excess heat to keep you comfortably warm at night.